And here it is July 2012! In each month of this year, I planned to look back to posts I wrote in 2011. However, my jaunt in Europe put a halt to that. 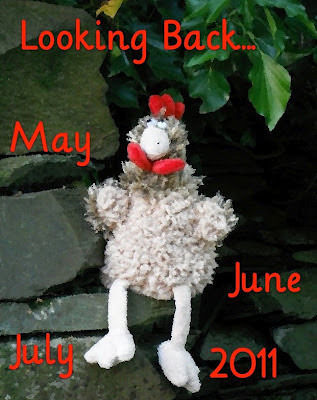 So today I revisit three months in 2011: May, June and July. Don't forget you can also use the right sidebar to find earlier posts, too. Click Creating, Learning, Reviews, Reading, Writing and Celebrating to explore those themes, use the search box to find specific areas of interest, or try the Blog Archive to browse by months. Have you tried Playing with Images and Words at Fotoflexer? Image editors can be a great way for kids to combine word and picture play. Go back further in time with Looking Back to May Past for all sorts of articles about children's literacy, literature and learning. Go back further in time with Looking Back to June Past for all sorts of articles about children's literacy, literature and learning. Go back further in time with Looking Back to July Past for even more articles about children's literacy, literature and learning.